No sharing with anyone. Proximity distance to City buses, Shops , Hospital and Griffith University (Nathan Campus). Air condition and all bills included. The room itself is spacious, bright and airy. The property has a large new/refurbished kitchen and bathroom (with a fantastic shower, just saying lol) as well as a separate, large laundry. You will obviously have access to the internet, which is fast, reliable, unlimited and NBN. Regarding general location, we are handily located to both Griffith Universities Nathan Campus (less than 5 minutes by car) and Mount Gravatt Campus (10 minutes drive), walking distance to the 7-Eleven, Red Rooster, Spar Express, Aldi and Hungry Jacks. Both the QEII Hospital and Coopers Plains Station are only 15 minutes walk away. Westfield Garden City and Sunnybank Shopping Centres are also close (7 minutes by car) and the city is less than 20 minutes drive. There are also a number of bus routes conveniently close, that provide easy access to surrounding areas and amenities. House hold - very friendly environment. Unlimited ADSL 2+ internet (Great for gaming and streaming). 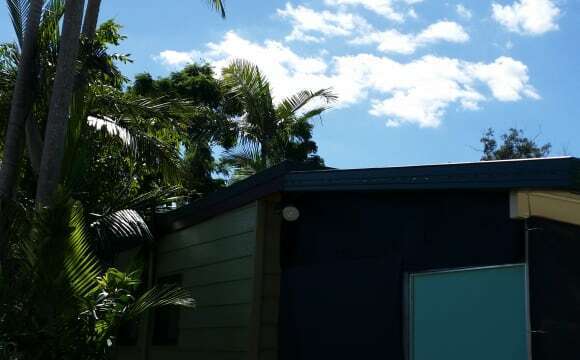 Fully air conditioned house (Each room has its own Daikin split system air conditioner). Neat and tidy roommates. 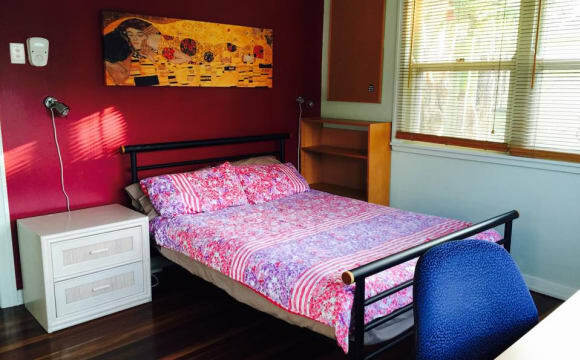 Location - Short walking distance to Griffith University Nathan campus (catch the courtesy Griffith Bus to Mt Gravatt Campus), QEII Hospital, Aldi supermarket, fast food stores and public transport (trains and buses). Bus: 119,120, 124,125,598,599 - Direct to Griffith Nathan Campus, Garden City, Sunnybank, South bank and City. Features Open Plan living area with Air Con, lounge, tv unit, coffee table, dining room table and chairs. Gourmet modern kitchen with Stainless steel appliances, fridge and dishwasher Two large bedrooms both with bathroom and bed main with air con too Large Balcony Separate internal laundry with washing machine and dryer Situated short distance from Griffith Uni, transport and Sunnybank Plaza price for one person stay, second person will be extra $20 per week maximum two person per room. Located in a quite street. 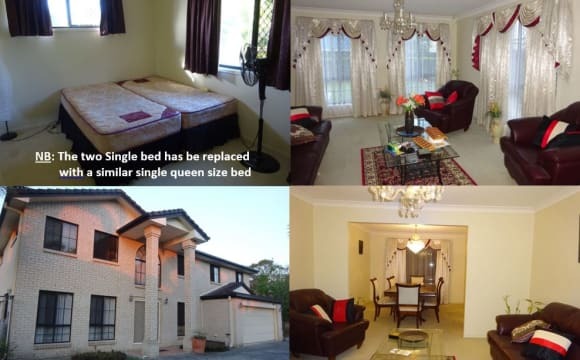 Close to QE2, Griffith University Nathan campus, SunnyBank, Garden city. Rent is inclusive of all bills(water, electricity,unlimited internet),backyard with a barbecue area. Well ventilated house. 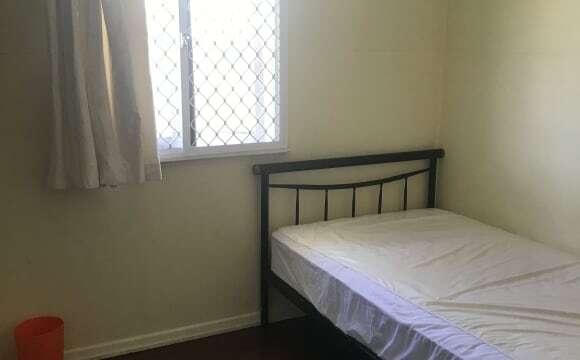 Fully furnished 3 bedroom house $290pw, includes electricity,water and unlimited internet Location --Short walk distance to Griffith University Nathan campus. --Close to Aldi stores, Hungry Jack and shops, QE II Hospital, Sunnybank Plaza, Garden City local shops and facilities. --Bus: 119,120, 124,125,598,599 --Direct to Griffith Nathan Campus, Garden city, Sunnybank, South bank and City. 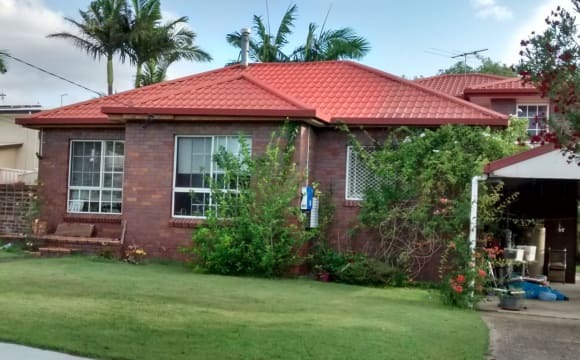 --minutes walk to Salisbury train station --Nothing to complaints for this location, namely closed to Uni, shops, transport Features --The lowset house with 3 bedrooms --all with built in wardrobe, polished floor, and new patio for balcony. Bathroom and separate toilet. --Roof insulation, feel cool in the summer time --Big back yard, lot of space for activities SHARED FACILITIESâ€ - LOUNGE: - Sofas - Coffee tables KITCHEN/ DINING: - Table and 6 chairs - Microwave - Electric stove &amp; oven - Fridges BATHROOM &amp; TOILET: - 2 Baths and 2 Toilets Maximum 3 people in this house. I am sure this is what you are looking for a long time. Don't wait any further, pick up the phone call me or text me if you like. This opportunity do not come quite often because the current happy tenant just finish their study and will leave the house.. International student welcome. Please call to book for inspection. Near new house - Close to Griffin University Nathan campus - Mins walk to bus stop (routes 120, 155) - Walking distance to grocery shops: ALDI and Orange Grove Plaza - Walking distance to a choice of eateries: Italian, Indian, Japanese, Vietnamese, Korean, fish &amp; Chips and a Bakery. - Fully Furnished - Rent included water, electricity, gas and wireless internet Full Kitchen area - We prefer non-smoker in our house. Best way to contact me is either provide me your contact phone number or text me since flatmates email system is quite slow. Very handy and safe location Walk to Griffiths Uni. 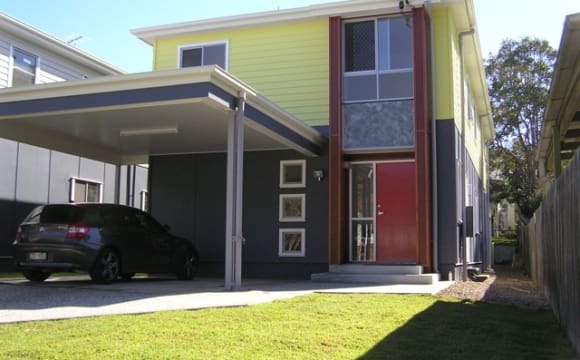 Grate public transport,Yes WIFI included, ,Shops around the corner , Major shopping centers near by.No bond required .Views to Mt Cootha, ANZ stadium .This is a clean house and not a party house.Grate place to live, some pets okay. This is a all female house up stairs with 1 male down stairs. 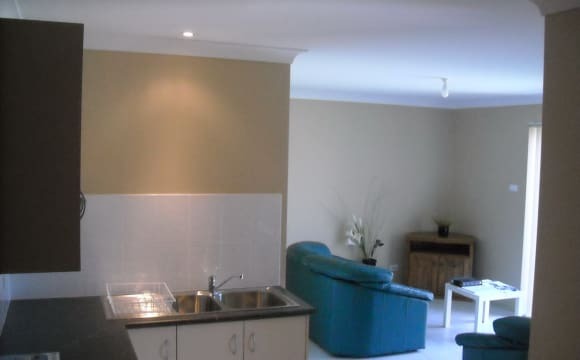 Its New, close to the Uni, everything supplied, including laundry, TV, Unlimited Wi-Fi, garden Pergola for outside dining, No extra to pay, everything in rent. Sorry no pets, smoking allowed outside only, in pergola. Please note : Coopers plains and Robertson are closer to brisbane than Sunnybank. For University of Queensland students there is a dedicated bus, 12 minutes trip to UQ. Hope this is useful info. We have free wifi here. We have a lovely outlook onto the park at the back. we have a lovely patio . 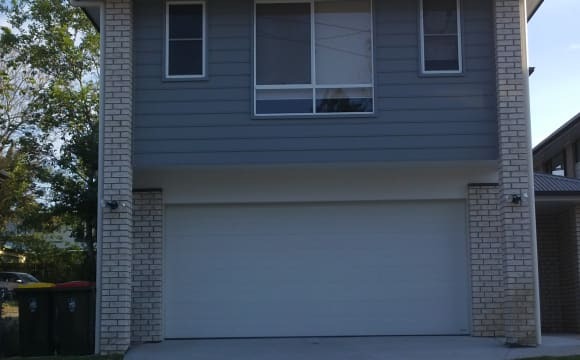 Our house is at Coopers Plains, a suburb in the south east of Brisbane, 14 km or 20 min. bus riding to the city. We have cozy single and double bedrooms fully furnished renting at $ 150-170/week incl utilities. Our house is near to public transport: walking 2-3 min. to the bus stop, 10 min. to the train station (Gold Coast line) and 5 min. to Aldi supermarket There are high frequency bus schedule of every 5 min. express buses to the city in just 25 min. during peak hours. Our house is close to shopping malls such as Garden City and Sunnybank Plaza, and industrial areas thus more jobs opportunities. Just 3 bus stops away from Nathan Campus Griff Uni. House-mates are multinational both students and professionals, friendly and considerate. Our house is clean and tidy and welcome to any like-minded individuals. Private rooms to rent in a two story modern, fully furnished, 5 bedrooms, 3 toilets, 2 bathrooms house. Enjoy the luxury and privacy of this beautiful place. 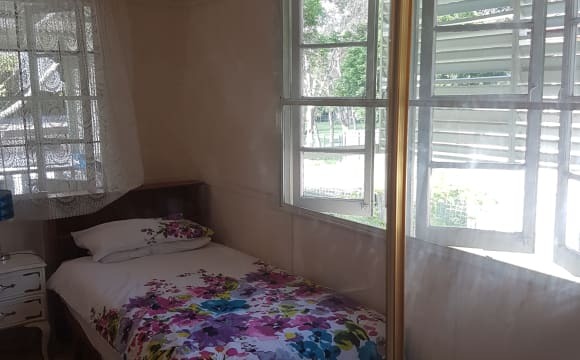 Spacious room with a queen size bed (in the pictures the two single bed has been replaced with a similar single queen size bed), desk &amp; chair, fan and walk-in wardrobe. 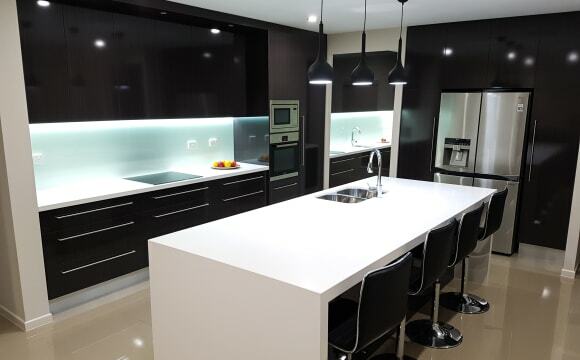 Modern kitchen, with an open plan family/dining area and a formal dining room, living room and rumpus. 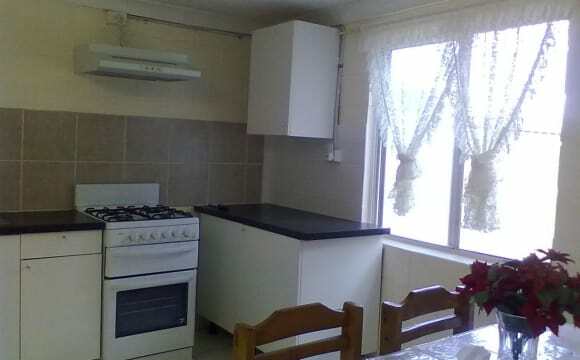 Shared bathroom, lounge, TV, fridge, fully equipped kitchen, washing machine. The private room is perfectly suited for a working professional or student. This is clean, friendly, quiet, safe and non-smoking home. Within walking distance to public transport (bus stop and train station) and various amenities such as a post office, butcher, service station, restaurants and local shops. Close to Griffith University Nathan campus. Close to major shopping centres, Sunnybank Plaza and garden city shopping centres, Aldi. 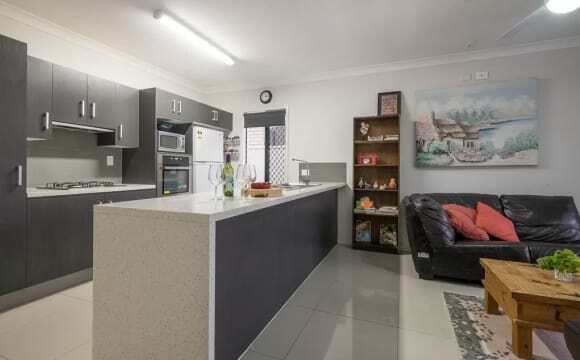 Close to Archerfield airport and Acacia Ridge business centre. Easy access to major arterial road; Beaudesert Road, Ipswich Motorway, M1. $160 single or $270 couple per week Rent includes all bills (Including water, Electricity, gas, unlimited WIFI internet) 2 weeks rent in advance plus 4 weeks rent as bond is required, before moving in. Min 6 months lease Currently I have one female student, 19 years old, studying Bachelor of Forensic Science/Criminology and Criminal Justice at Griffith University and a 49 year old working gentleman. Availability:- One room will be available on the 17th of December. Please send me a brief introduction about yourself if you are interested! Thanks! Available by early July; Ideally for two good friends or students, or couple with a child- small family. 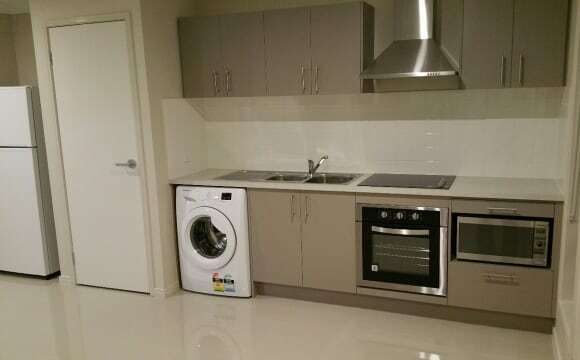 Fully furnished with washing machine. Detached from main house and fully independent; clean, tidy, quiet and safe living environment. Rental excl utilities but with solar system utilities is low about $ 20/week. Near to public transport: walking 4-5 min. to bus stops; 10 min. to Aldi supermarket and 15 min. to train station; 20-25 min. to Sunnybank Plaza. There are high frequency schedule of express buses to the CBD and F. Valley within 25-30 min. ; 20 min. riding to Garden City. Any interest please contact Denise.